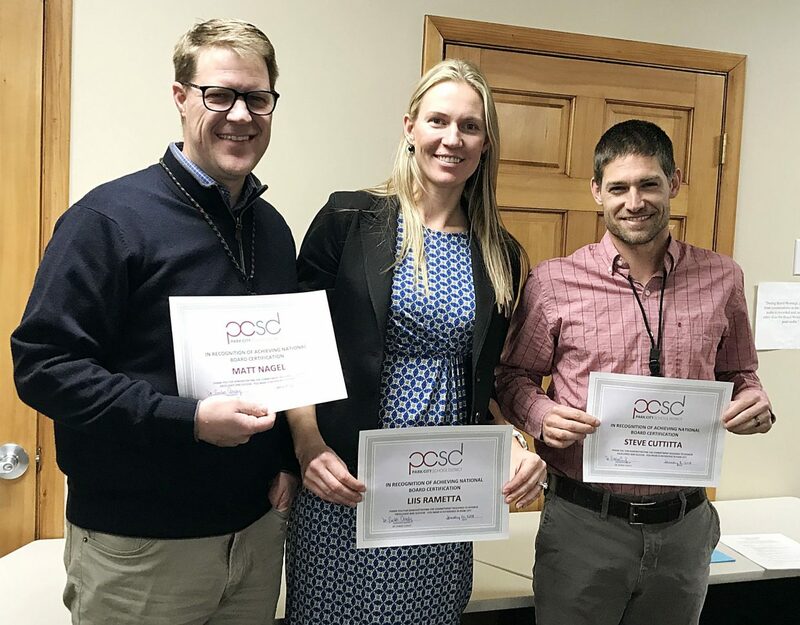 From left: Matt Nagel, Liis Rametta and Steve Cuttita all received their National Board Certifications last December and were recognized at the Park City Board of Education meeting in January. From the moment Liis Rametta heard about National Board Certification for teachers, she knew that one day she would do it. The only question was when. After multiple years of waiting and three years working on it, she can finally say that she is certified. The National Board for Professional Teaching Standards recognizes and helps teachers around the country improve their teaching methods, use data and assessments more efficiently and understand the needs of their students. 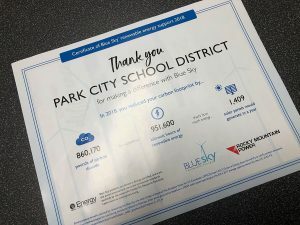 This year, three teachers in the Park City School District passed and became certified: Rametta, Steve Cuttita and Matt Nagel. 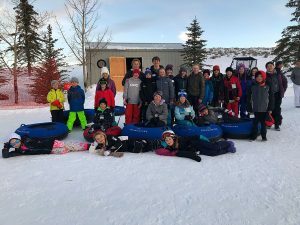 That brings the district’s total number of certified teachers to 11, said Jenn King, a certified teacher at Jeremy Ranch Elementary School who helps teachers through the rigorous process. There are 269 certified in the state. Rametta said that she was initially attracted to the certification because it is one of the highest achievements a teacher can receive. 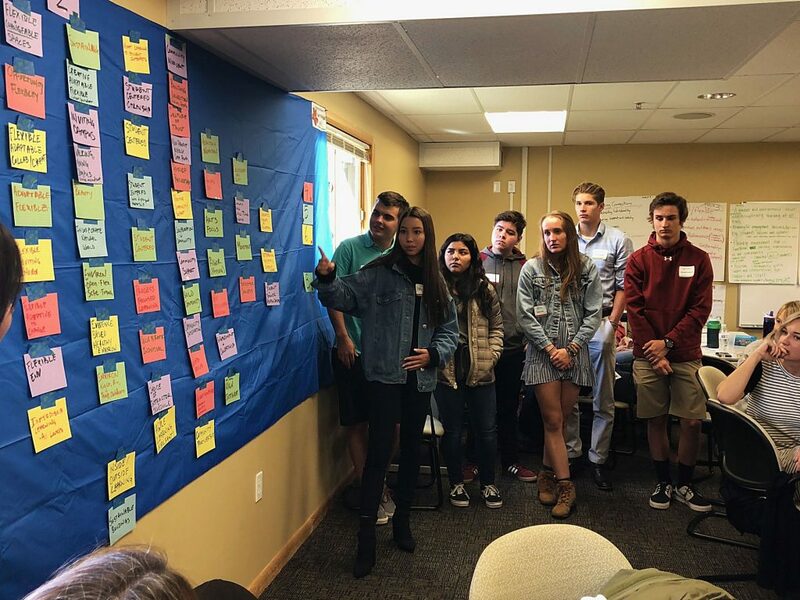 When she came to teach at Jeremy Ranch four years ago, she learned about the district’s initiative to help teachers through the certification process and pay for half of the fee. With all of that motivation, she said that she knew it was time. Even with all of the support, getting through all of the work is no small feat. Teachers must film their classes, evaluate their teaching, write essays, analyze their students’ work and gather data. Rametta estimates that it took her between 300 and 400 hours total to complete. When she started the program, most teachers finished the certification over the course of three years. But last year, the National Board made all of the materials available in one year, so Cuttita and Nagel powered through it all during that time. 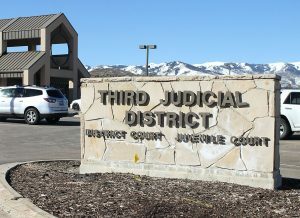 Nagel, who teaches English at Park City High School, said that the work was demanding, but having a cohort of teachers who were either already certified or working on their certification helped him. Plus, there was some monetary motivation. Certified teachers in the district get a $3,000 stipend each year during the length of their certificate. Plus, Utah grants certified teachers a Level III teaching license, which is the same level of licensure a PhD can get, King said. But there were some other obvious benefits as well. Nagel said that his biggest takeaway came from the work he did studying not his own teaching, but the lives of his students. For Rametta, one of the main benefits was becoming more aware of her teaching methods so she could improve them for her students. King said that having teachers reflect on their work leads them to also reflect more on their role in the community. Plus, it is always nice to be recognized for the work teachers have put in over the years, Rametta said. “It’s confirmation that what you’re doing is good,” she said.